It's better to put the asynchronous code just above </head> since it doesn't slow down your site in any way and your tracking request time will be more accurate. This post will explain How to Google Analytics in Wordpress blog correctly. There are two ways to install Google Analytics tracking code in Wordpress theme. *Copy and paste the Google Analytics code before the < /body>tag i.e just above < /body> . **Copy and paste it into your web page, just before the closing </head> tag^. *Click Update File to save changes. *If you have changed your wordpress blog theme, you need to repeat above process. There are many plugins that can help you do this. My advice is to add Google Analytics Code wordpress blog manually. One important reason to do this is, when you update your wordpress version, it may not support that plugin immediately. Still having confusion with How to install Google Analytics in Wordpress, Check the video tutorial below. After choosing some domain name (www.name.com), you will like to register it. This post is related to How to Register Domain Names, and guide to know how to regist er a domain name. Also read about guide on choosing the right domain name. Before learning on how to register a domain lets us understand about domain name. The unique name that identifies an Internet site. A domain name is an identification label that defines a realm of administrative autonomy, authority, or control in the Internet. Domain names are also hostnames that identify Internet Protocol (IP) resources such as web sites. Domain names are formed by the rules and procedures of the Domain Name System (DNS). Setting up a Web site with your own domain name is a simple process, though finding a name you like may be difficult. There are various sites with accept domain registration example, register.com etc, just search in Google, Yahoo or Bing with keywords “domain name registration” you will find many sites offering domain booking. Enter the name or phrase of the domain name you would like to register. Follow the rules regarding name length and format. You will be provided information, if the name is already taken. If the domain is not available, try again using an alternative name. If you tried .com as a suffix, try .org or .net instead. Follow the instruction, when you see message domain name is available. Once you register your own domain name, nobody else can get it - it's yours for as long as you want it to be. ICANN -The Internet Corporation for Assigned Names and Numbers is the organization responsible for top-level domains. Top level domains include .com, .org, and much more. Although ICANN is responsible for top-level domains, you cannot directly make registration of domain name there. You have to go through an accredited domain name registrar. A domain name registrar is an organization or commercial entity, accredited by a generic top-level domain registry (gTLD) and/or by a country code top-level domain (ccTLD) registry, to manage the reservation of Internet domain names in accordance with the guidelines of the designated domain name registries and offer such services to the public. When you think of a website design, all that comes in mind is a design that stuns the visitors and provides a higher level of interactivity. The content in web too needs to be properly a placed so that it looks user friendly. Designing impressive webpage without in-house professional designer may not be easy. Solution to get properly programmed web is either to have expert in company or you can outsource it, to an outsourcing company that would design for you. Let us know that outsourcing involves the transfer of the management and/or day-to-day execution of an entire business function to an external service provider. Company enters into a contractual agreement with another company to provide certain services. You outsource the job to third party Company, who have specialist to perform your prescribed task. This will help you in saving time and cost. If talking about IT solution in India, it is becoming the major hub of world-class web solutions. You can find some best firms offer web design and development services. They employ professionals and offer high quality service to their customers. They work with a vision to make the website in a way that it becomes a strong base for the development of the business. Online active web is necessary if one wishes to reach greater heights of success with the help of his online business. If you have time, money and excellent strategy to execute your work but you are not technically skilled enough for the job say creating web for company. Then Outsourcing your website design is the best method to find a complete web solutions. The professionals working with the company are experts in their field and are capable of getting result for your website in the best possible manner. Before you start carefully evaluate what can really be outsourced. A-Alignment: Is outsourcing the right move for your business? B-Business case: Have you taken all costs into consideration? C-Culture: Can you bridge the cultural difference between your company and the outsourcer? Monica -contributor to this blog . PageRank is a link analysis algorithm, named after Larry Page, used by the Google that assigns a numerical weighting to each WebPages in site, with the purpose of "measuring" its relative importance of page. In simple words, PageRank is what Google uses to determine the importance of a web page. It's one of many factors used to determine which pages appear in search results. A hyperlink to a page counts as a vote of support. The Page Rank of a page is defined recursively and depends on the number and Page Rank metric of all pages that link to it ("incoming links"). A page that is linked to by many pages with high PageRank receives a high rank itself. If there are no links to a web page there is no support for that page. PageRa nk (PR) is Google's method of calculating a web page's relevance and importance through the quality of sites linking to it. The precise details of the algorithm are kept secret and Google continues to "enhance" its performance. It is seen as an important indicator as to the popularity of a site and thus its value to potential advertisers. To prevent manipulation, spoofing and Spamdexing, Google provides no specific details about how other factors influence PageRank. Pagerank(PR) relies on the uniquely democratic nature of the web by using its vast link structure as an indicator of an individual page’s value. Google interprets a link from page A to page B as a vote, by page A, for page B. But, Google looks at considerably more than the sheer volume of votes, or links a page receives; for example, it also analyzes the page that casts the vote. Votes cast by pages that are themselves “important” weigh more heavily and help to make other pages important. Using these and other factors, Google provides its views on pages’ relative importance. Pagerank is a probability distribution used to represent the likelihood that a person randomly clicking on links will arrive at any particular page. The Rank of Pages computations require several passes, called "iterations", through the collection to adjust approximate Page Rank values to more closely reflect the theoretical true value. Google assigns a numeric weighting from 0-10 for each webpage on the Internet; this PageRank denotes a site’s importance in the eyes of Google. The Page Rank of a particular page is roughly based upon the quantity of inbound links as well as the PageRank of the pages providing the links. Pagerank was developed by Google founders Larry Page and Sergey Brin at Stanford. The first paper about the project, describing PageRank and the initial prototype of the Google search engine, was published in 1998 shortly after, Page and Brin founded Google Inc., the company behind the Google search engine. While just one of many factors which determine the ranking of Google search results, Page Rankings continues to provide the basis for all of Google web search tools. It is one of many factors that determines where your web page appears in search result ranking, but if all other factors are equal, PageRank can have significant impact on your Google rankings. A Google robot visit your site frequently so continue to modify your code and keep checking its rank and status. Eventually, your site will drive up the ranks and land on top. Keep your META tags, title, keywords and content in line with your keywords and continuously look to optimize them. How to check Rank of pages? Remember, Page rank is measured on a scale of one to ten and assigned to individual pages within a website, not the entire website. To find the Rank of a page, use Google Toolbar. VOIP stand for Voice over Internet protocol. VoIP is a general term for a family of transmission technologies for delivery of voice communications over IP networks such as the Internet or other packet-switched networks. At a very basic level it is the idea of using a data network to transfer voice between two points. Although voip has become a buzz word in recent years has it origins as far back as the early 1970s. VoIP provides cost savings over traditional land-line phone long distance and cell phone long distance charges. VoIP can also be used for voice mail and fax mail applications, reducing the need to print documents or have access to email applications. In simple, when we talk about what is Voip can be described as- Voice over Internet Protocol(VOIP), is a method for taking analog audio signals, like the kind you hear when you talk on the phone, and turning them into digital data that can be transmitted over the Internet. People using VoIP can call any telephone anywhere in the world and can receive calls on telephone sets connected to the Internet or Local Area Network (LAN). Although VoIP has been creating quite a stir in the press recently, it’s actually not a new idea at all. The history of Voip extends further back into the world of pre internet that most people would think. The first Voip calls where made as far back as 1973. VoIP was originally developed to provide voice communication between computer users in different locations. Although it still has this application, it has been further developed into a telephone network in its own right. The first publicly available internet phone software from Vocaltec was the catalyst for the explosion about VOIP use. The Vocaltec software was able to run on a home PC and utilized much of the same hardware products that Voip services use today in terms of soundcards, speakers and headsets. Once Vocaltec had laid the foundations, other companies began to develop software for the VOIP market and also hardware in the terms of hard phone and network switches. The expansion of broadband also aided the growth of VOIP by increasing the quality of calls and reducing the latency issues that effected VOIP at the beginning. By the year 2000 VOIP calls in the US where about 3% of the total. In 2006 — Free SWITCH open source software is released. The popularity of VOIP has increased since the turn of the millennium and with free VOIP provider Skype currently having registered a staggering 400 million user accounts at the end of 2008. There are currently many VoIP services available for residential and commercial use. Some of these still rely on PC-to-PC connections but may offer other services such as PC-to-phone and phone-to-phone. With the growing availability of VOIP services for mobile phones it looks as if the adoption of VOIP will continue to expand rapidly. 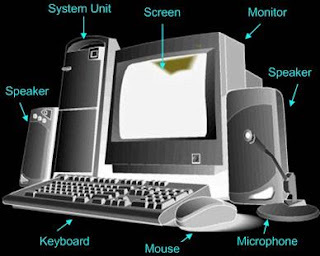 Internet phones are available that plug into the sound card or USB port of a computer. These phones may have number pads and ringers that allow you to use them the same as traditional telephones. VoIP is important because, for the first time in more than 100 years, there is an opportunity to bring Voip about significant change in the way that people communicate. In addition to being able to use the telephones we have today to communicate in real-time, we also have the possibility of using pure IP-based phones, including desktop and wireless phones. We also have the ability to use videophones, much like those seen in science fiction movies. One of the more interesting aspects about VoIP is that we also have the ability to integrate a stand-alone telephone or videophone with the personal computer. The benefit for both home and corporate customers is that they now have the opportunity to choose from a much larger selection of service providers to provide voice and video communication services. VoIP enables people to communicate in more ways and with more choices.